Fierce Blogs: Sarah Geronimo Belo Kojic + Tranexamic Acid TVC . Have you seen the latest TVC of Sarah Geronimo for Belo Kojic + Tranexamic Acid? Here's the video courtesy of Belo Essentials Youtube page. I've yet to try the the latest offering of Belo Kojic. 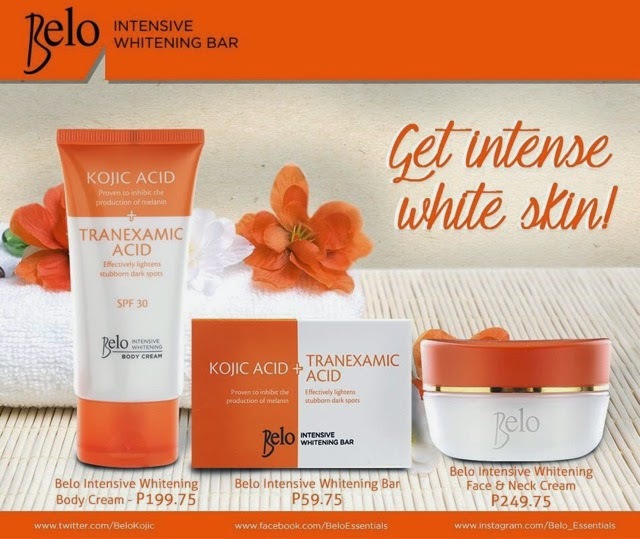 But for the Full review of Belo Intensive Whitening Bar (Kojic and Tranexamic Acid) visit this page.